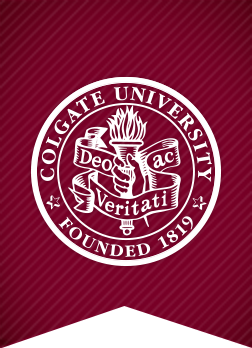 In conversations with the Italian faculty and the Department of Romance Languages and Literatures, Italian Intern Giuseppe Grispino proposed the idea of a weekly hour of Italian music on Colgate University’s College Radio Station WRCU (90.1 FM Hamilton). Every Tuesday morning from 10am to 11am Giuseppe enjoys playing both contemporary and classic Italian music tracks. The music is accompanied by news, weather forecast, lifestyle, interviews and current “hot” topics in Italy. Radio Italiana is a great opportunity for students and faculty who want to practice Italian in a relaxed and fun way! Tune in to WRCU (90.1 FM Hamilton) every Tuesday morning from 10am to 11am and get your weekly hour of pure Italian music and Italian vibes!